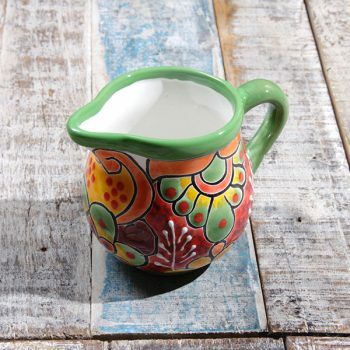 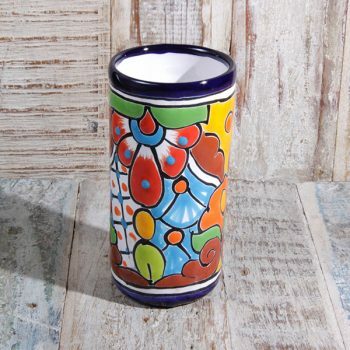 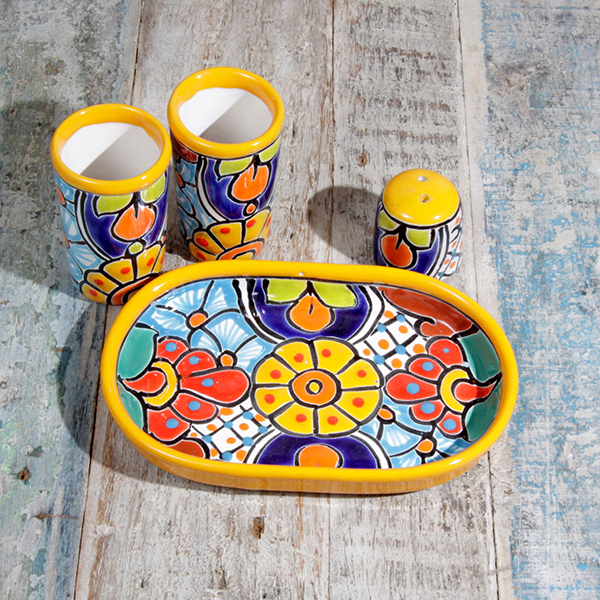 Talavera is a hand-made glazed pottery from Mexico. 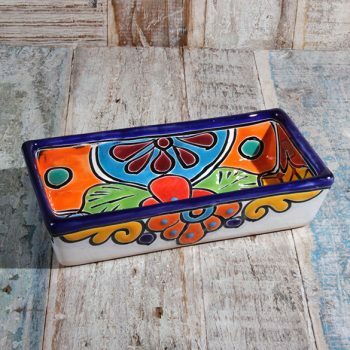 Not for use in the oven, but food safe. 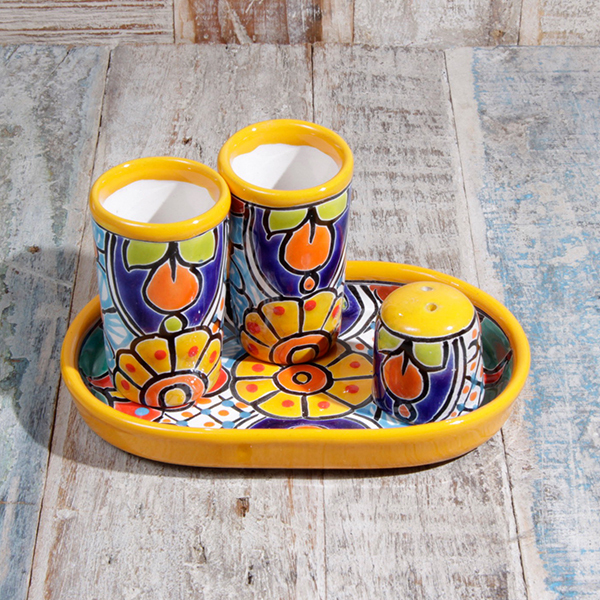 These tequila set are individual so the one you see in the photo is the one you will receive.